Are you an L & D nurse who wishes you had more tools in your toolbox to help keep patients comfortable during labor? By attending Comfort Measures for Labor and Delivery Nurses, you will not only get hands-on practice with comfort measures skills, but you'll also learn how you can overcome barriers to providing comfort measures on your unit! All nurses who register at the Professional level or higher will earn 3 nursing contact hours, and those who register as Super Users will receive a Comfort Measures Toolkit to take back to your unit and teach to your peers. Come enjoy an afternoon of demonstrations, discussion, and networking with L & D nurses from all over Middle Tennessee. This Comfort Measures Workshop is taught by Heidi Duncan, CBD(CBI), Authorized Peanut Ball Trainer and Evidence Based Birth® Instructor. We designed this workshop specifically for Labor and Delivery nurses who are looking to add to their labor support knowledge and skills. However, local doulas, midwives, and childbirth educators are also encouraged to register! Location: UPDATE! The workshop has been relocated to Nashville! We'll be meeting in the community room at Ready Nest Counseling. This workshop is held at Holistic Health Center, 894 Hwy 76, Suite 104, Clarksville, TN 37043, an easy access location from I-24 less than 1 hour NW of Nashville. Attendees are welcome to socialize at one of the awesome restaurants within walking distance after the workshop is over! Space is limited in this workshop. 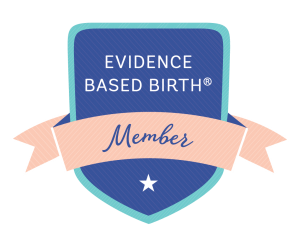 Contact hours: By attending this workshop and completing an evaluation and quiz, registrants at the Professional or Super User ticket level will earn a certificate for 3 nursing contact hours from Evidence Based Birth®, a continuing education provider for the Kentucky Board of Nursing #7-0081. Nursing contact hours can also be applied to most childbirth educator and doula certifications. JOIN MY WAITLIST for exclusive discounts! >>>Additional info about the "Super User" ticket: We are encouraging each local hospital to sponsor at least two nurses to become Comfort Measures Super Users! Your Nurse Super Users will be able to teach their peers how comfort measures can decrease the Cesarean rate, decrease patient pain levels, and increase patient satisfaction. Having at least 2 nurses trained as Super Users will make it easier for them to demonstrate to the other L & D nurses on their unit what they learned at the workshop. Questions? Contact Heidi Duncan at expectingnewlifeteam@gmail.com. Refund policy: Tickets are non-refundable, but may be transferred to other attendees or to future workshops.